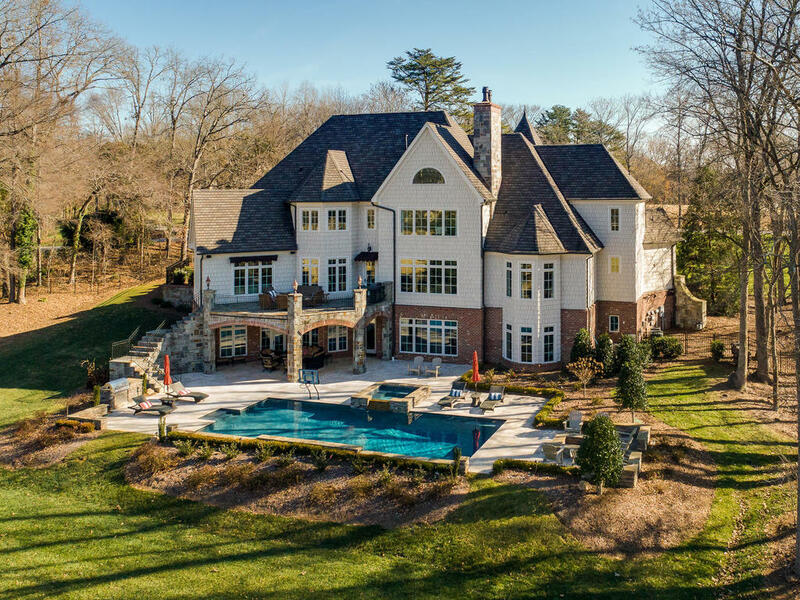 This custom estate is located on Carmel Country Club’s third golf course and is minutes from Southpark in Charlotte, North Carolina. 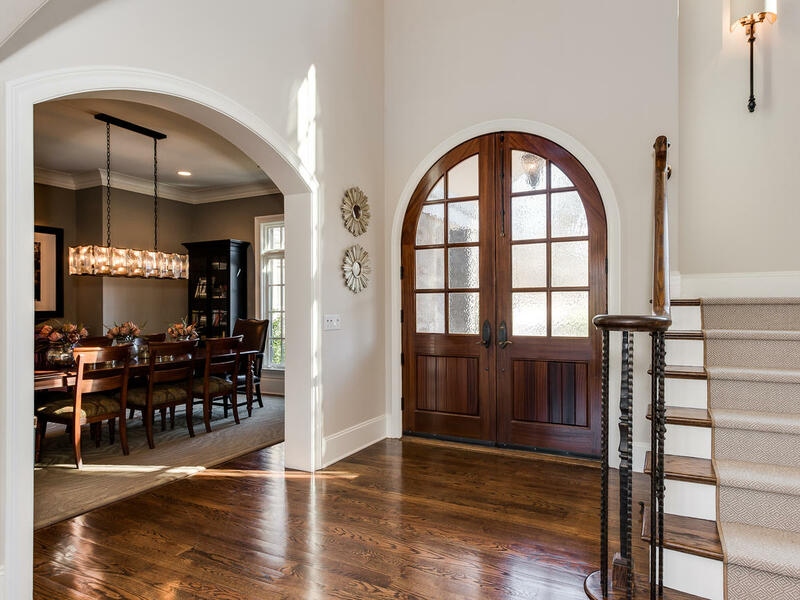 Double front doors lead into large foyer featuring a gorgeous, light filled stair tower with vaulted tongue and grove ceiling and custom beams. 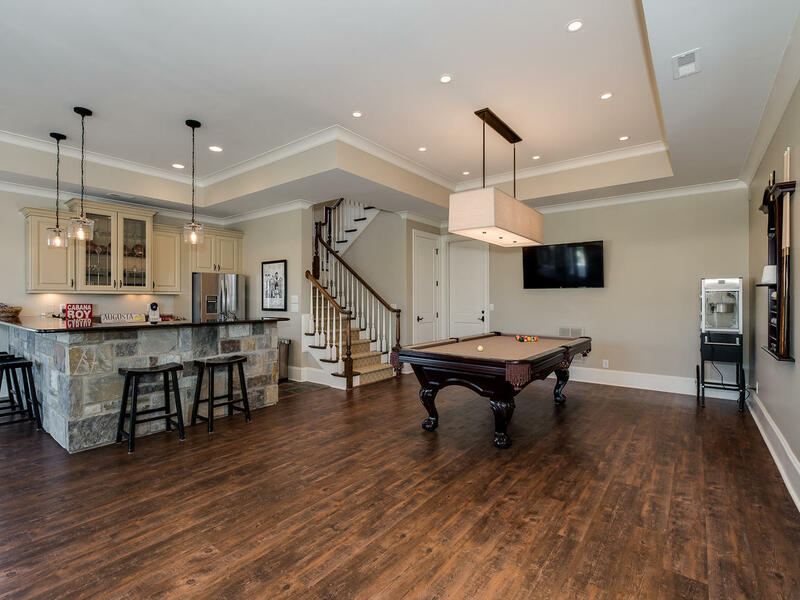 Recently remodeled throughout, this immaculate three level home includes dual staircases, two fireplaces, hardwood floors, and designer light fixtures. This amazing home features a fantastic floorplan and offers ample entertaining space inside and out. 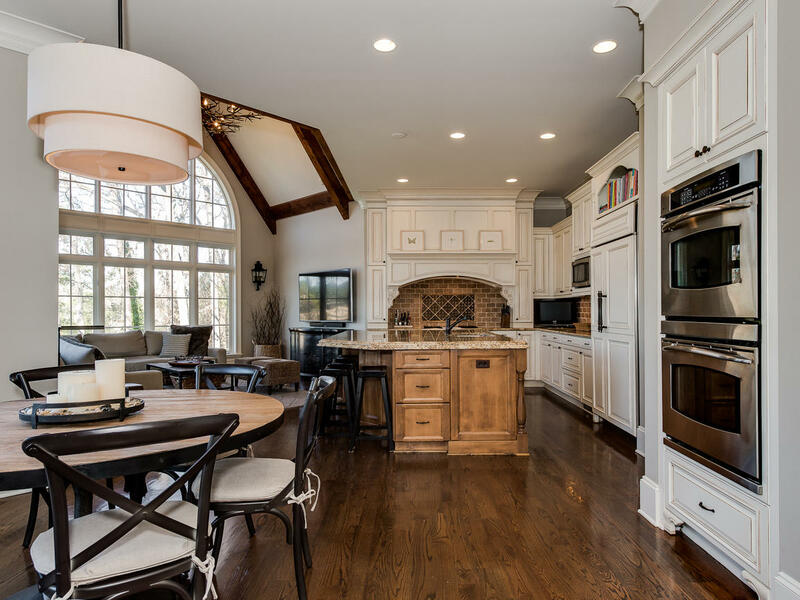 The spacious gourmet kitchen has a large island equipped with wolf range, double ovens, butler’s pantry and side gathering room. The luxurious master suite on the main level has dual walk-in closets and a renovated marble bathroom. A huge walk-out basement with high ceilings has a second kitchen, multiple recreation areas, bedroom, two full bathrooms, walk-in storage and exit onto lower level terrace. 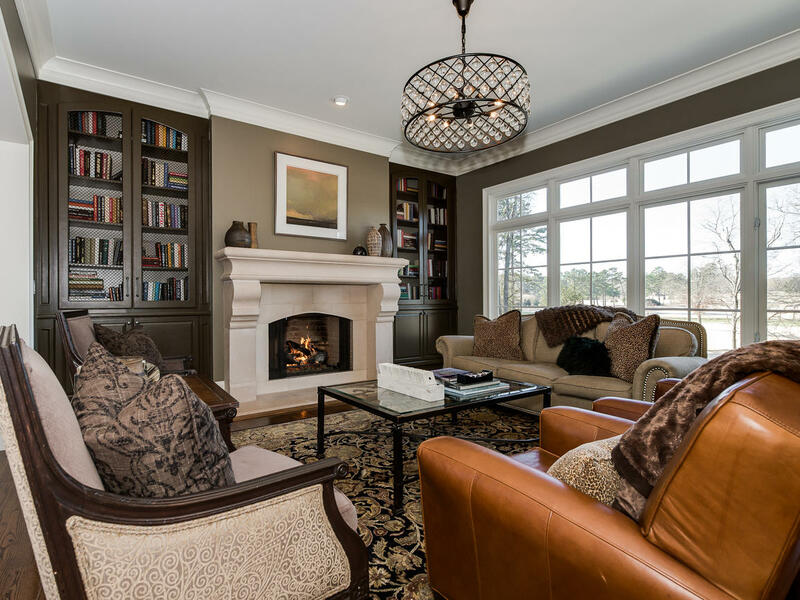 The gorunds are professionally landscaped and include a three car garage, fenced yard, pool, hot tub, outdoor firepit, covered patio and golf cart access to course. This one of the only homes on the course that does not view other homes. 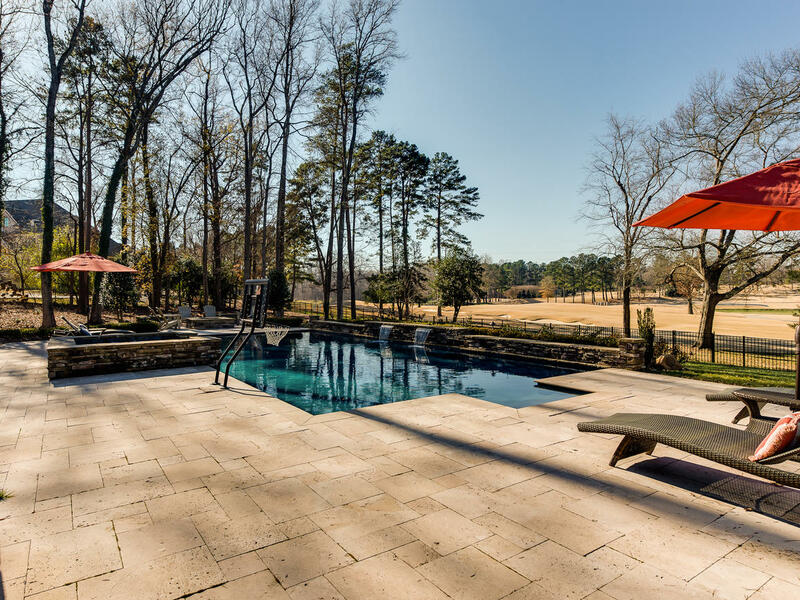 It is listed for $3.125 million with Allen Tate Company and is showcased by Luxury Portfolio.